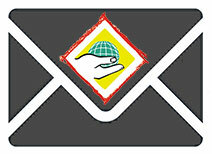 Hannington’s parents were both kidnapped by rebels associated with the LRA when he was just one year old. They were soon after found murdered. 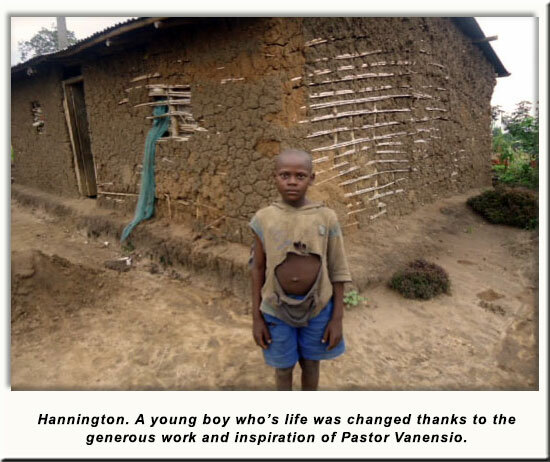 Despite these terrifying circumstances, Hannington was “fortunate” that his community, Bundibugyo, had an orphanage to take care of him and for him to live in. 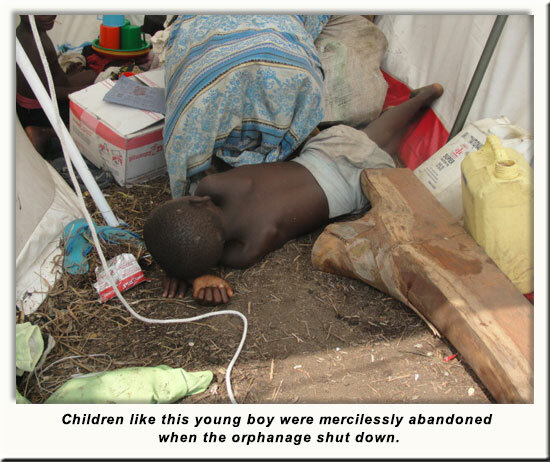 That was at least until the orphanage manager fled and Hannington and the 50 other orphans that he lived with were kicked to the streets. But that’s when CHRF’s new partner, Pastor Vanensio, came to help. Suddenly the community faced taking 50 orphans into their homes or letting them sleep on the streets of their small town. With Vanensio’s help and guidance now all 50 children have found homes. 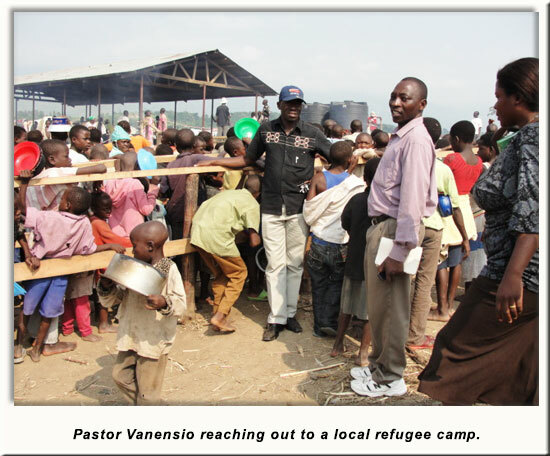 But with 150 children badly needing food in the community, it was very difficult for Vanensio to provide for the orphans without helping the other children in the community as well. Most often times these children will get one meal a day at best. The state and the distressing circumstances of Vanensio’s town, Bundibugyo, are extremely depressing. 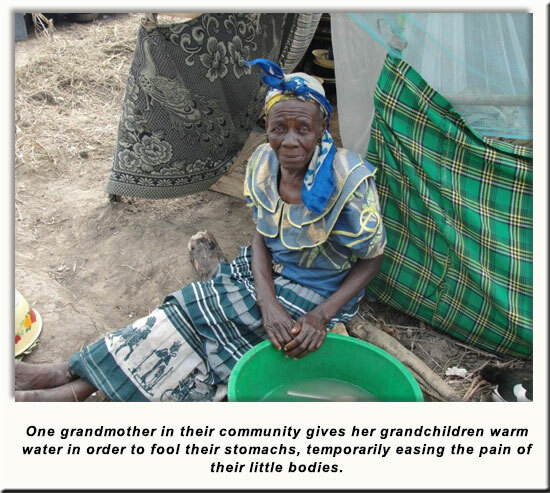 One grandmother in their community gives her grandchildren warm water in order to fool their stomachs, temporarily easing the pain of their little bodies. That’s why during his meeting with Pastor Vanensio, CEO of Children’s Hunger Relief Fund Colonel V. Doner, committed to helping feed the remaining 100 children. CHRF met with Reverend Vanensio after he and the community feeding and outreach program that he started came highly recommended by our other partners in Kampala Uganda. His community is so secluded that no other relief agencies have sent help. Until now. Children’s Hunger Relief Fund is honored to announce our new partnership with Reverend Vanensio Bamwitirebye, leader of the Bundibugyo Community Worship Center in Uganda. 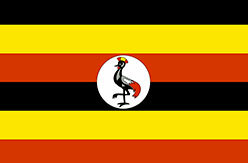 With your help we are able to help feed the children in this forgotten community of Uganda. Now with your help to CHRF and our partner Pastor Vanensio, mothers won’t have to worry about where to find food for their babies and their children. Grandmothers won’t have to trick their grandchildren’s stomachs into thinking they have eaten. Thank you for making stories like this one is a small abandoned town in Africa true, thank you for helping us bring hope to the hopeless. Here is a wonderful thank-you note for you from Isaac Ouma, our orphanage founder and director in Uganda. He is so thankful to the people who help keep these great kids alive, fed, healthy and in school. 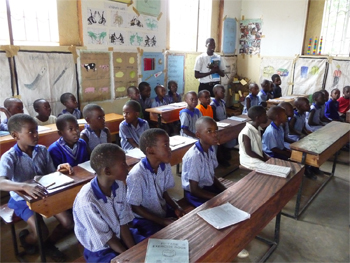 Your donations are changing the lives of 35 children at Hope Home, plus influencing the lives of the over 100 other kids who come in from the surrounding villages to attend classes. Thank you SO MUCH for your support... past, present and future! Thank you so much for your donation towards our orphanage. It was wonderful to have a Christmas party at the project. 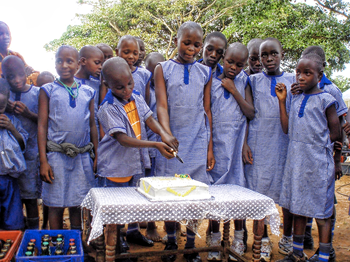 We appreciate those who contributed to the party and made our kids smile because of a cake and some good food. 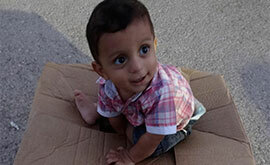 We want to let you know that your current donation has helped us to get some mattresses and bedsheets for the orphans. The old ones were worn out completely. Also we bought 100kgs (220 lbs) of posho (an East African dish sometimes called sima, sembe, or Ugalio) of maize flour (cornmeal) cooked with water to a porridge) for the children. Your continuing support has done good and brought hope to our orphanage. We pray that God will bless you so much this year. Perhaps under normal circumstances a few new buildings, gardens and fruit trees wouldn’t be such a big deal, too bad the children in Kampala live in anything but “normal” conditions. Our Project leader on the ground, Caleb Rukundo, reported to us the exciting new resources including housing for homeless children, farming, fencing and gardening. Although the Ugandan forests are overflowing with fruits the locals don’t often take advantage of the food by storing them for the off-season. Thankfully, Caleb and his team are saving the harvest for later in the year when the children usually would have been starving! “We are planting many fruit trees around the compound and peas, nuts, bananas, maize, sweet potatoes and pumpkins are among the different foods growing on site”. At Zzana the kids get all that and a lot more – they get to be children who laugh, play and dream of the future, grow up in a caring community with friends and adult mentors, and receive a solid education as well as vocational training on which to build their future. With the school located in one of the poorest communities in the area, just on the outskirts of Kampala, it is a daily struggle for the leadership at Zzana to meet all the kids physical, mental and emotional needs. But all you see when you visit is a beautiful campus and a beehive of curious, excited kids. In all the bustle, you might miss the fact that the teaching materials are hand-made, that the students don’t have any books, that the teachers work mostly with paper, pencils and their imagination.